Yesterday I was asked by someone… Can I play with PivotalHD and HAWQ? How? What do I need? This prompted me to think about going through this process myself afresh using my home computer to make sure everything works as smoothly I expected to work when we put together PivotalHD/HAWQ VM. As I was downloading and trying to run the VM I realized that though running VM, thereby PivotalHD/HAWQ is straight forward there is no single place the entire process is laid out. Therefore, hoping this blog post will guide someone step by step, from scratch to run PivotalHD and HAWQ. In particular, in addition to running VM I wanted to show using HAWQ with pgAdminIII a popular open source tool used by Postgres community. Step 1: Skip this step if you have either VMWare Fusion (for Mac) or VMWare Workstation/VMPlayer (for windows) already installed in your computer . If not, proceed to download one of these tools from https://my.vmware.com/web/vmware/downloads. Scroll down to “Desktop & End-User Computing” section and download VMPlayer. 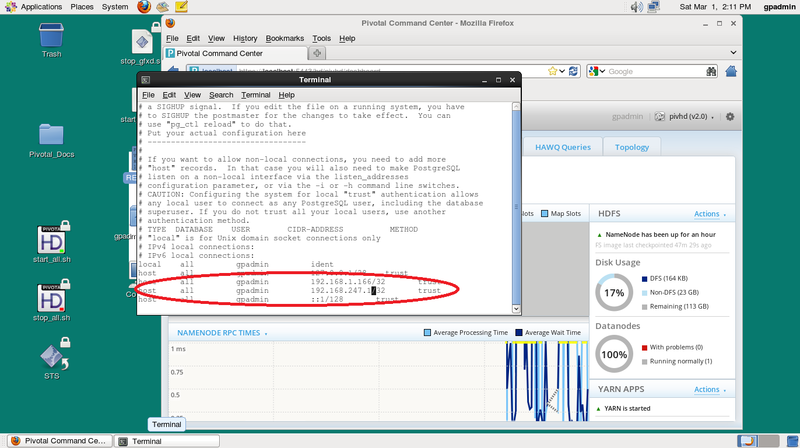 Download Pivotal HD VM from http://gopivotal.com/big-data/pivotal-hd. VM is pretty big 1.9GB, be patient. At my home, I’ve reasonable fast AT&T uverse. It took approximately 45min to download the entire file. Once unzipped, right click on the file PIVHDSNE110_VMWARE_VM and select “Open with VMWare Player” option to open using VMWare Player. 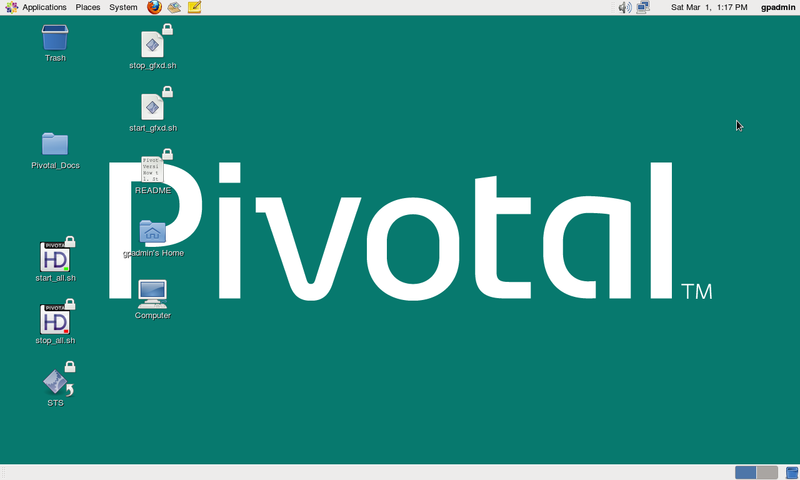 Once launch happened you’ll see PivotalHD Desktop as shown below. Double click on “start_all.sh” to start HAWQ services in the VM. Before connecting pgAdminIII to HAWQ host based security should be enabled for the local host. 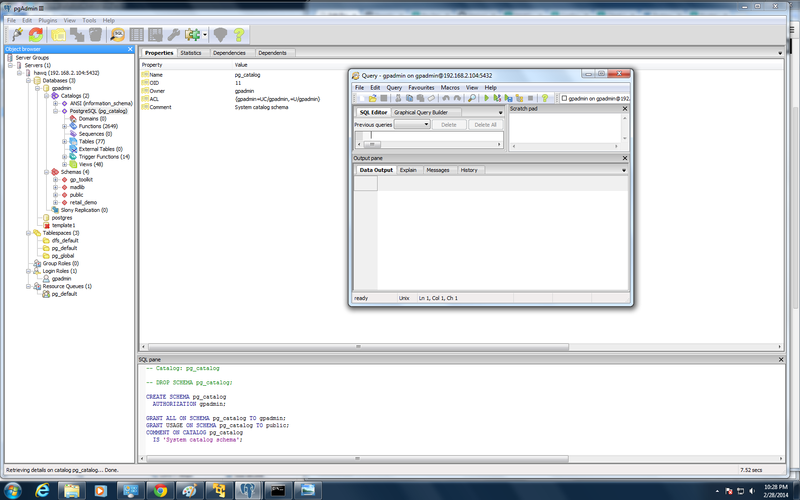 cd to “/data/1/hawq_master/gpseg-1” and open the file “pg_hba.conf” in your favorite editor. Add your local host where pgAdminIII runs as shown below. 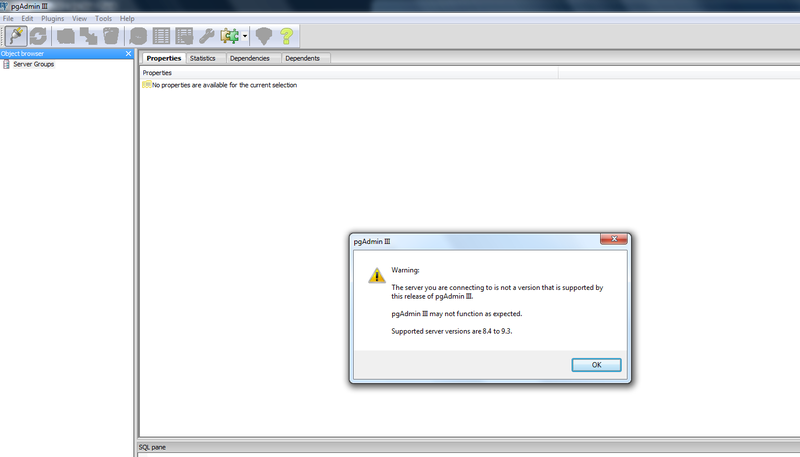 After saving the file, run the following command to reload the configuration file. 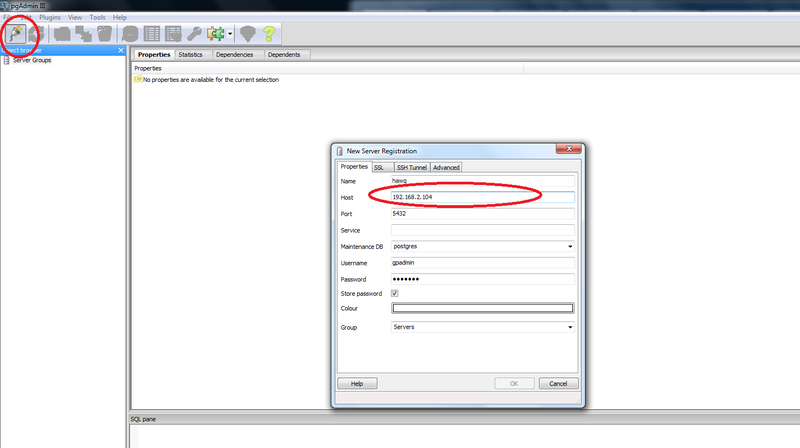 In the above example, virtual machine address is 192.168.2.104. Enter this in the host field of pgAdminIII. Enter username as “gpadmin” and password as “gpadmin”. Click “ok” to connect to HAWQ. Ignore following warning message. Once successfully connected you should be able to see pgAdminIII screen as shown below. ← YouTube Suggestion: Five (hundred) little monkeys jumping on the bed!